Just the thought of math can leave most of us with slick palms! As homeschooling parents, how are we supposed to teach math if it gives us anxiety just thinking about it? Thankfully, in our age, there are numerous resources at our fingertips. Even if looking at math curricula brings back cold sweats and nightmarish school memories, we are here to help. If you are wondering how to get started teaching elementary math, you’ve come to the right place. First, we should establish the fact that kids are sponges. They will absorb your energy and attitude toward a subject, whether it’s positive or negative. Even if you feel unskilled at math, try to demonstrate positivity for your kids. As a result, they will naturally be more excited–and open–to learning about it. Here are 8 strategies to help with teaching math to your early learners. Manipulatives. Do you remember using blocks as a kid? There’s a reason they worked well, and that still applies today. Manipulatives are tried and true for teaching math. Not only are they great for hands-on learners, but they can also assist visual learners. Communication. A great aspect of choosing to school from home is the option to talk through the math process. Help your child learn to brainstorm problem-solving strategies. Ask them to explain their thought-process for solving problems. Further, ask them to teach you how they reached the correct answer. Work on helping them explain the problem step-by-step, but without merely parroting it back. Their 4th grade math year is a great time to start incorporating this more thoughtful approach. Storytelling. As adults, our math skills are required in practical situations, such as with balancing our bank accounts. For kids, though, it’s just numbers. Applying math to a story is far easier to understand; for example, with realistic word problems. Additionally, you can make it cool math by adding and subtracting money for grocery shopping, determining points in a sports game, finding the area for painting a room, adding fractions for measuring ingredients, and more. Demonstrations. Are you teaching a new concept? Teach your kids the basics, and then demonstrate it. By utilizing the “show and tell” method, your kids will not only know the facts, but they will also see how they are applied. Pace. Work at the pace your kids need. Even if they seem to struggle for far longer than you’d like with one lesson, try not to stress over it. It’s far better to take the time they need to master it than to rush through it. Your kids will learn certain concepts in a day, while other lessons may take a few weeks. That’s fine. Flexibility is part of the joy of homeschooling. Variety. Keep math interesting. Though worksheets for math are always helpful, try adding in math drills, humorous word questions, flash cards, games, and projects. The different styles of application will not only cement the concepts, but they will also help reveal when your child has mastered the lessons. Goals. Set realistic goals. 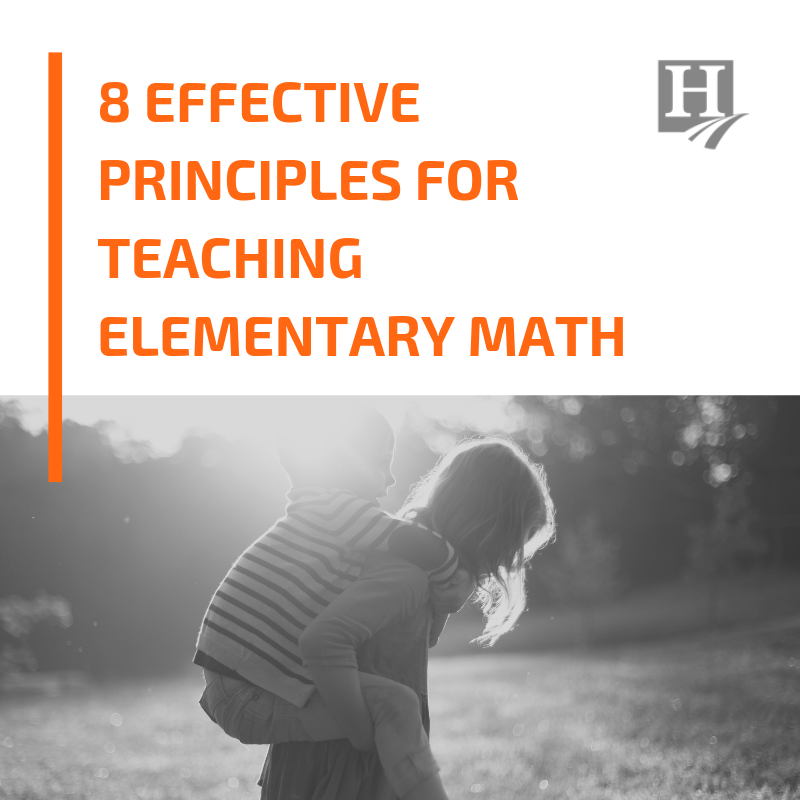 If your aim is to finish the math book by the end of the year, you might find yourself rushing through concepts that your child hasn’t fully understood. However, if your goals are for your child to successfully add, subtract, and multiply, a world of options and freedom become available for your school year. Practice. As with everything in life, routine and consistency are important. Try to schedule daily math practice, even if it is only for a few minutes. For instance, ask your kids to repeat a row on the multiplication table, or make a fun competition out of answering your quick verbal math drills with a promised reward. Math games for kids. These learning games are so fun that your kids may not even notice they are working on math! YouTube Kids. A great option for kids to safely watch educational videos! Operation Math app. This app helps kids learn addition, subtraction, multiplication, and division by turning math drills into a fun spy game. Quizlet is great for learning terms and memorizing facts with flashcards, games, and other learning tools. Create your own math word problems with this website!